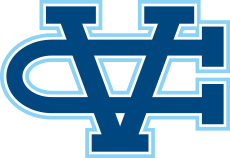 Los Gatos, CA - The Valley Christian Warriors competed in the CCS Top 8 Classic Saturday, facing many of the sections top athletes. It was a strong showing that saw multiple marks recognized on the team all-time list. It was stellar day for Charlie Bostic who became the ninth person in school history, and second of 2017, to break the 11 second barrier for 100 meters. Bostic finished fifth with a wind legal mark of 10.95. Nick Trofort who ran 10.93 against Saint Ignatius earlier this season finished in 11.05, his second fastest time this season respectably. The 200 was a scorcher as Bostic and Trofort posted personal bests in their second event of the day. Bostic passes Byron Marshall on the team's all-time list to move to #3 in school history running a wind legal 21.85. Trofort finished with a stellar time of his own running 22.54. Bostic moves into the top 100 all-time marks in CCS history. Both he and Trofort are ranked in the top 10 in CCS this season for both the 100 and 200 meters. The girls had a strong showing of their own. The girls 4x100 meter relay team of Caitlyn Rowland, Nina Barry, Aamani Ponnekanti & Amber Lao ran a season best 50.96. They move to #10 all time in school history. Ashley Clayton moves to #10 on the team's all-time list after running a personal best 2:24.86. Caitlyn Rowland had a strong day hitting two season bests: 60.56 in the 400 meters & 47.47 in the 300 hurdles. Anna Maumalanga finished second in the discus with a mark of 120-0. She also hit 31-9 in the shot put. Katelyn Stone finished the 3200 in 12:04.98, her second fastest time this season. The girls 4 x 400 ran an impressive 4:22.06. Nina Barry and Skye Scott stepped up to fill in as alternates joining Ashley Clayton and Vanessa Zenere. In the frosh-soph 100 meters Coleman Kyles finished 8th in the Frosh-Soph division clocking 11.63. The Warriors saw some solid results from the boys field events: Jonathan Sum hit a personal best 40-9 in the triple jump. Freshman Seth Hoque hit a personal best 19-6 in the Frosh-Soph long jump. Skylar Loving-Black jumped 5-8 for 7th place in the frosh-soph high jump. Seth Hoque hit a personal best 19-6 in the long jump to finish 7th in the frosh-soph division.